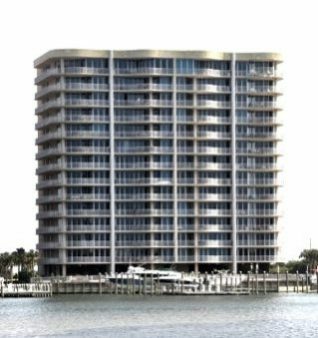 Orange Beach waterfront condo for sale at Vista Bella – amazing opportunity to own two resort residences in one of the most popular communities on Ole River. Two condominiums have been combined into one large 4,800+/- s.f. space for living and entertaining family and friends! A sliding cabinet on one side and wood door on the other offers the options to join the condos, or keep them private – each side has 3 BR’s, 3 baths a full kitchens, gas FP’s, a living room and dining area – each kitchen has stainless steel Kitchen A garage, boat-slip w/ lift & a kayak slip convey with the property. Community amenities include an indoor and outdoor pool, exercise facility, marina, deeded beach access and more – a must see! Orange Beach Alabama has a year-round mild climate and is a popular family beach vacation destination on the Gulf Coast, the area offers an array of activities such as dolphin cruises, championship golf courses, charter fishing and nature hikes. Choose from national hotel and motel chains, camping or a variety of beach accommodations from private vacation rentals property management companies with huge inventories. There are numerous options for nightlife, from family entertainment to rocking roadhouses, enjoy your pick of plays, free concerts, dancing or just listening to a variety of musical genre. Enjoy the freshest seafood available at the numerous Orange Beach restaurants featuring fine-dining to laid-back local favorites. Whether you’re ready for fun and adventure, a tranquil day on the beach, or a succulent meal – you can find it all on Alabama’s Gulf Coast.